Regenerative Grazing Grass Fed Beef – Why Does it Matter? 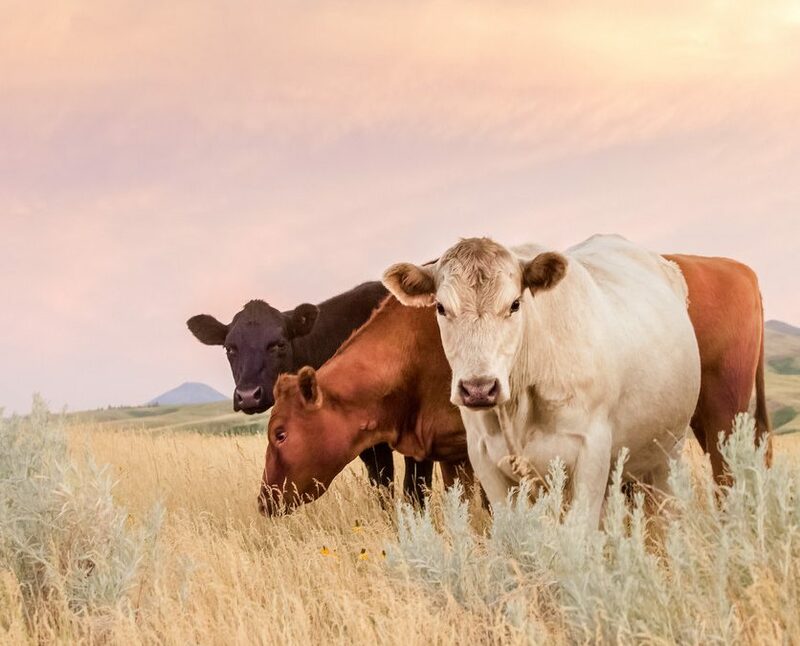 Here at Rafter W Ranch, we believe in providing the healthiest meat for our families, customers, and the planet. We only sell grass finished beef because regenerative grazing is the sustainable successor to industrial grazing. Industrial grazing means stocking a large paddock to its maximum capacity. Animals are left to overgraze the paddock until the pasture is completely gone. This has severe consequences for future grazing and agriculture, and the environment in general. Why? It’s primarily because of the loss of topsoil. 4. Reduced native biodiversity, further reducing ecosystem services such as pollination and pest management. How can regenerative grazing help? The principle of regenerative grazing (also called mob grazing) is to rotate the stock between multiple areas. Stock are moved around in a cyclic fashion, once or twice daily and do not go back to that pasture for about 80 days. This allows the area previously grazed to regrow, maintain and even replenishing soil levels. This leads to sustainable long term farming success, as well as maintain terrestrial, marine and freshwater environmental health. Join us by buying grass fed beef and save the world one delicious steak at a time.